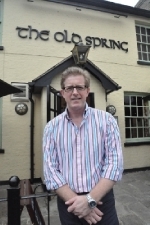 The Old Spring is a neighbourhood Pub in the heart of the Defreville area of Cambridge just a short walk from the River Cam and its many boatyards. The pub was taken over by Steve Murphy back in 2004 following a career in pubs going back to 1987. Steve wanted to establish a quality pub that offered great service, drinks and food in a traditional environment. Over the last 14 years the business has been continually developed into the business you see today. Incredibly popular with regulars from near and far who love the pub for its consistency and quality. All our food is freshly made on site by our team of four chefs, we use local ingredients wherever possible and utilise some of the best produce our local suppliers have to offer. We offer a core menu of pub favourites such as a choice of homemade burgers and fish & chips. In addition we produce daily specials including fresh soup. frittata's and fresh fish dishes. We always have at least 6 vegetarian dishes on the menu. We can accommodate nearly all dietary requirements. Please give us a try, whether for a drink with friends, a meal with work colleagues or a family get together - I don''t think you will be disappointed. The pub was taken over by Steve Murphy back in 2004 following a career in pubs going back to 1987. 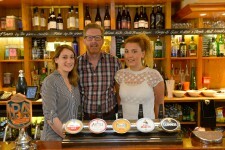 Steve wanted to establish a quality pub that offered great service, drinks and afood in traditional environment. Over the last 10 years the business has been continually developed into the business you see today.